TurboFTP is a Windows secure FTP and SFTP client. It comes with an intuitive user interface and allows you to manipulate and exchanged files through secure file transfer protocol, while providing managed FTP capabilities to automate FTP/SFTP and data-centric business process. TurboFTP is a secure FTP client program (supports FTP over SSL/TLS and SFTP over SSH2) for Windows. It allows you to transfer files (upload or download) at turbo speed between your computer and virtually any FTP server with exceptional ease and when necessary, with strong encryption of industrial strength. 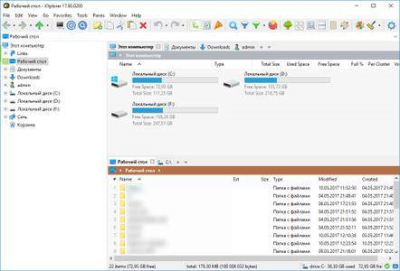 The built-in Folder Synchronizer provides straightforward, visual and recursive comparison result and helps you synchronize files and directories between local and remote folders with minimum effort. Scheduled file transfer and automated folder synchronization can be easily achieved with the built-in Task Scheduler. You can have an notification e-mail sent to you upon completion of each schedule task or by error. It automatically attempts to resume broken transfer, redial and reconnect after detected lost of connection.